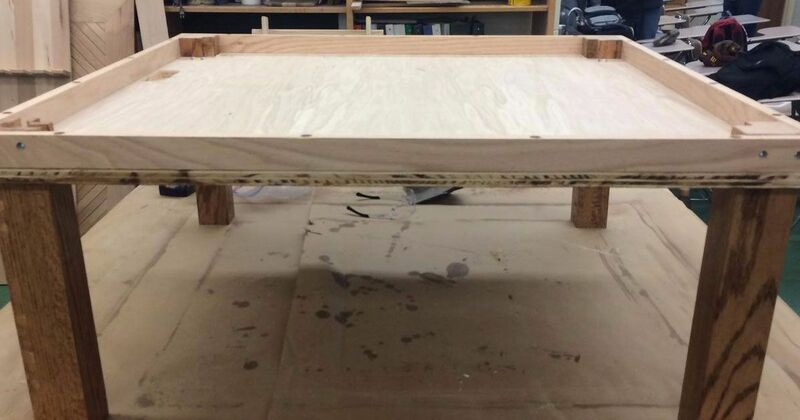 This table may look like an ordinary piece of furniture, but looks can be deceiving. 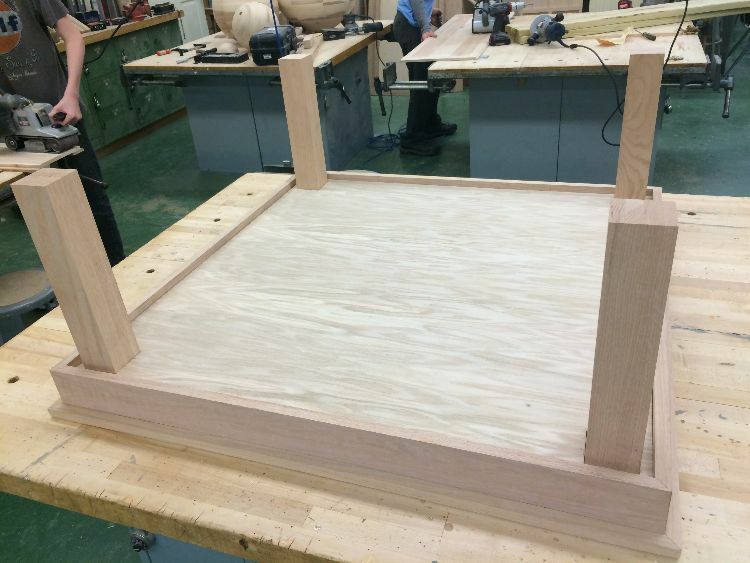 Crafted by a sophomore in high school, this seemingly innocuous table earned a perfect score from judges at the local competition. 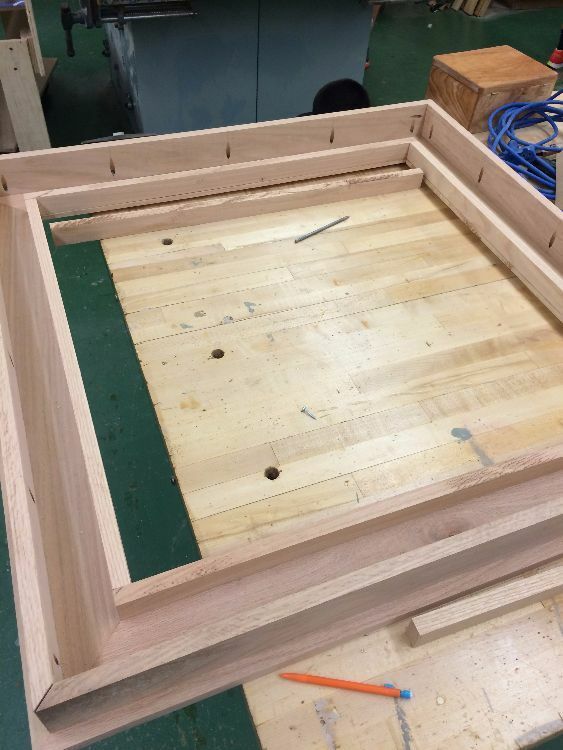 The two-piece table took almost four months to complete. 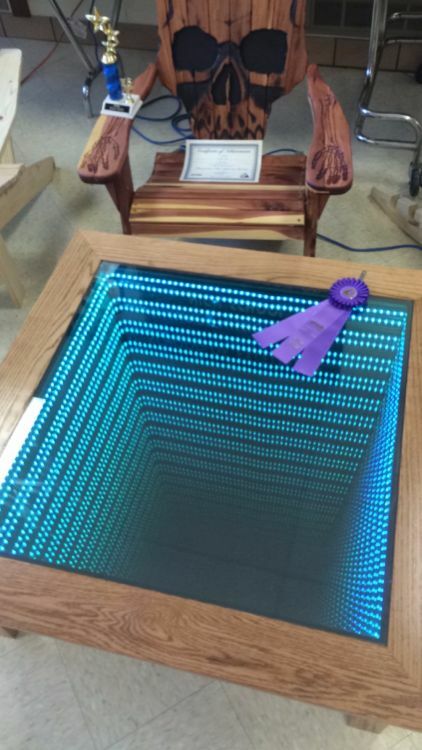 Baumstaller showcased his infinity table (and all the work that went into creating it) on his Imgur account. 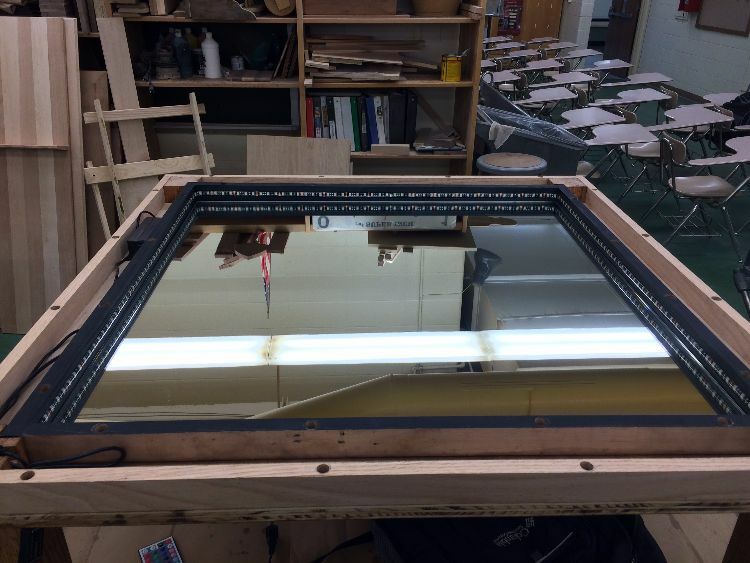 The frame above holds a two-way mirror that helps create the cool effect seen in the finished project. Once most of the frame was finished he had to incorporate the electronic elements. He left enough room so that the cord would mostly be hidden inside the table. He then laid a mirror inside the base of the base of the table and finished installing the lights. 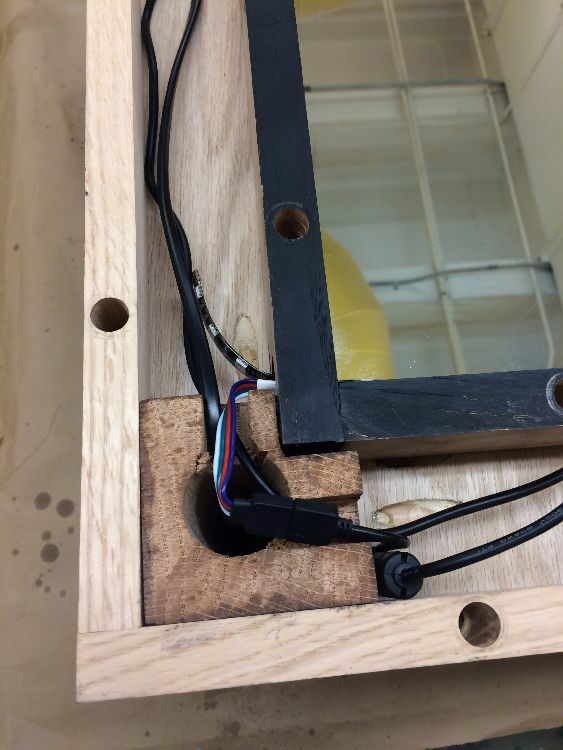 He eventually had to use hot glue to secure the wiring into place. This is what the finished project looks like... before you plug it in. Ta da! How cool is this table? The light reflects off both mirrors creating a very convincing illusion of a bottomless pit. The lights have a remote that even allow you to change the color to purple or green. 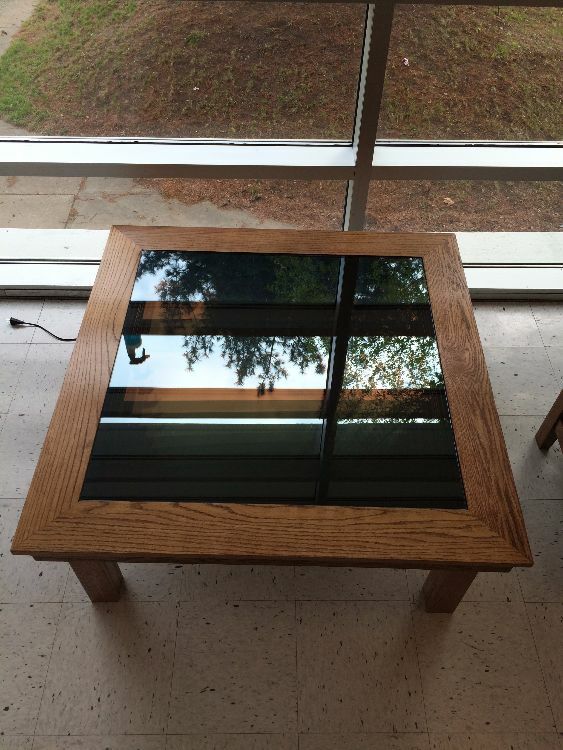 Baumstaller has the table set up in his living room and has no plans to sell it, according to his Imgur page. If you're interested in trying your hand at a similar project, check out this tutorial from The Family Handyman. Do you think this project is really creative? Make sure to share it with your friends on Facebook.